If our early ancestors were polygamous, then how did we become monogamous? In recent times, however, it is the evolutionary biologists who have had a field day untangling the complicated knots of monogamy. According to the first and perhaps the most well-known proposition, monogamy became widespread as it ensured some guarantee to the male (assuming the female was not philandering) that he was not being cuckolded, which in turn, improved the survival rates of the offspring. In the latest scientific aperçu on the subject, researchers from the University of Waterloo in Canada and the Max Planck Institute for Evolutionary Anthropology in Leipzig, Germany, propose that the threat from Sexually Transmitted Infections (STIs) and the punishing of polygamists may have been a major catalyst of monogamy. The study is based on a mathematical model of how different mating behaviours evolve in response to the changing pattern of STIs in large societies. The model assumes that in large groups polygamous men are more prone to STIs, which may render them infertile. Hence, it would make sense for the entire community to switch to monogamy as a means of preserving itself, and therefore to create incentives and disincentives that would make polygamy unviable. The researchers, however, emphasise that STIs were probably only one among the many other drivers. Such is the explanatory zeal of evolutionary biologists that this is probably the third account in as many years of how and why humans came to be monogamous. In 2013, a team of British researchers concluded that the threat of infants being killed by unrelated males is the key driver of monogamy in humans and other primates. A year earlier, Harvard University’s Joseph Henrich had postulated that monogamy became the norm because it paid rich social and economic dividends. By not endorsing polygamy and thereby enlarging the pool of eligible bachelors, he argued, such societies were able to not only reduce crime rates, but also lessen the age gap between spouses, and decrease gender inequality. 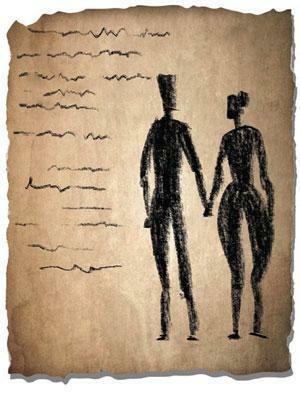 Notice that all attempts to explain the origins of monogamy assume that our ancestors were polygamous, just like our closest primate cousins, the chimpanzees and bonobos. This then raises a fundamental question about us: if our early ancestors were polygamous then why, how and when did we become monogamous? Husband-wife team of David P Barash and Judith Eve Lipton, both academics at the University of Washington, discuss this question in great detail in their book The Myth of Monogamy. They argue that even though as a species “we show the characteristic evolutionary imprint of polygamy, not lifelong fidelity to one sexual partner,” we embraced monogamy because “it is part of our egalitarian ethos; indeed, it may have set the stage for social equality”.